While the Multnomah Falls, Oregon, are a popular tourist spot in summer, I had it all for myself on this misty fall morning, it was a incredible spot to photograph, relax and to enjoy. The Multnomah Falls waterfall is a very special place, while it can be crowded in summer with tourists it may show you a totally different side of it in late fall and winter. 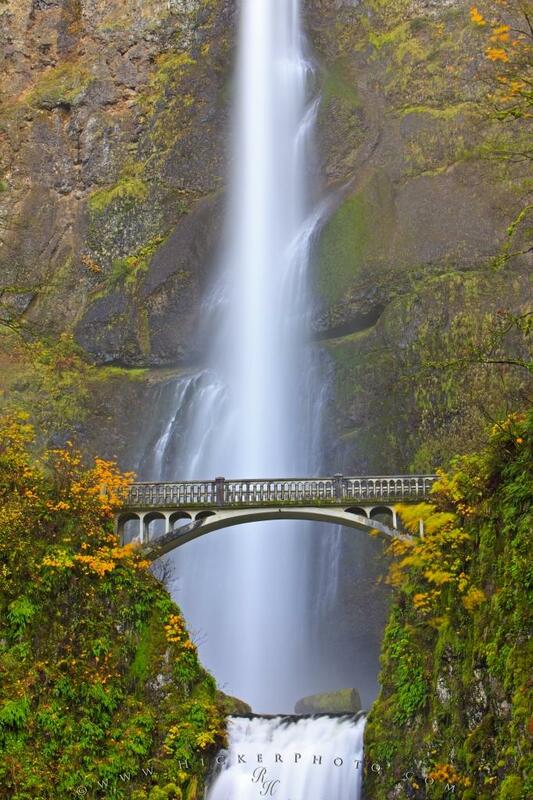 The waterfall is located in the Columbia River Gorge in Oregon. Tourist attraction Multnomah Falls, a 611-foot-tall roaring, awe-inspiring cascading waterfall in late fall with Benson Bridge, about 30 minutes east of Portland, Oregon, USA.